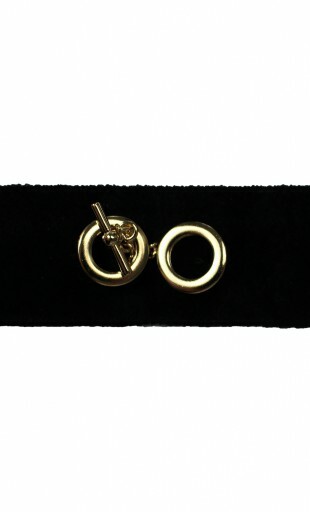 The choker accessory is made from black, soft velvet with small ties at the back and finished with a golden plated brass buckle. Fabric composition: 100% velvet cotton. 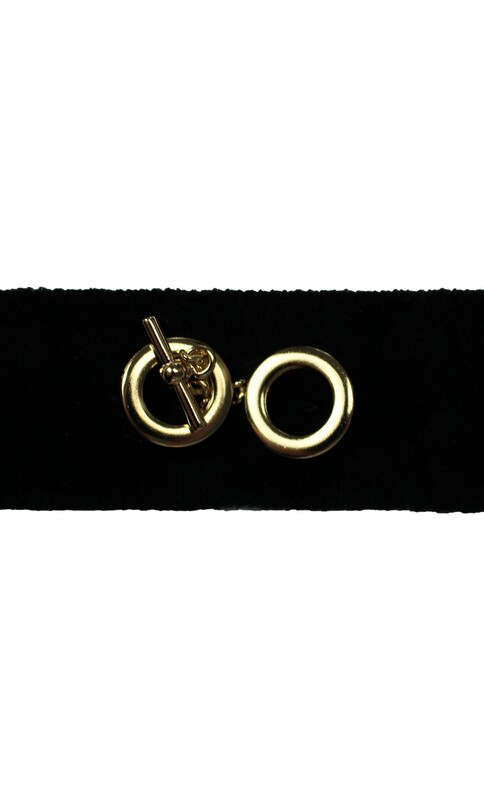 Buckle composition: golden plated brass. Handmade in Germany.